Welcome to Preet Machinery Company. Manufacturer and Supplier of Conveyor Idler and Rollers. The company was established in the year 1997. Our Effectual business methodologies and qualified workforce make us different from others. Ethical business practices, robust construction and excellent performance make us the first choice of our clients. We offer a vast range of Conveyor Idlers, Idler Frames and Brackets. Our Conveyor Idlers and Rollers are best in the industry amongst others. 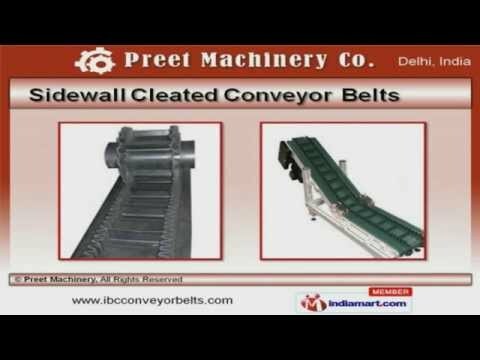 We offer Belt Conveyor Pulleys that are acknowledged for their functionality. Rubber and PVC Conveyor Belts offered by us are nothing but the best solution for all your needs. Along with that we offer Sidewall Cleated Conveyor Belts that are available at industry leading prices. We also provide Idler Frames and Brackets that are one of the best in the market.